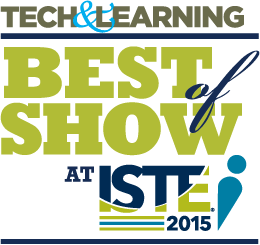 For the second year, Tech & Learning is presenting its prestigious awards program that honors great products at ISTE 2015. The products below were selected by an anonymous panel of educator judges, who scoured the exhibit hall floor during the conference in Philadelphia. Visit tltechlive.techlearning.com for timely updates from the winners.